Crooked Lane Books, 9781629537764, 288pp. Old sins do indeed cast long shadows in Death Among Rubies, a delightful closed-room mystery in the vein of Agatha Christie and the second in R.J. Koreto's effortlessly charming historical series. Like his heroine, Frances Ffolkes, R. J. Koreto is a graduate of Vassar College. He has spent most of his career as a financial journalist. Richard has also been a freelance writer and PR consultant. He is a member of Mystery Writers of America, and his work has appeared in Ellery Queen s Mystery Magazine. He lives in New York, NY. 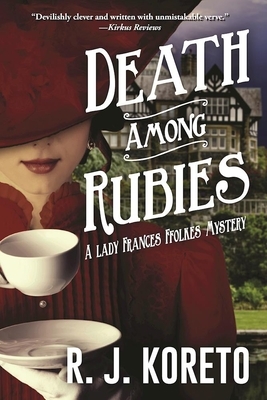 This is his second Lady Frances historical mystery following Death on the Sapphire."